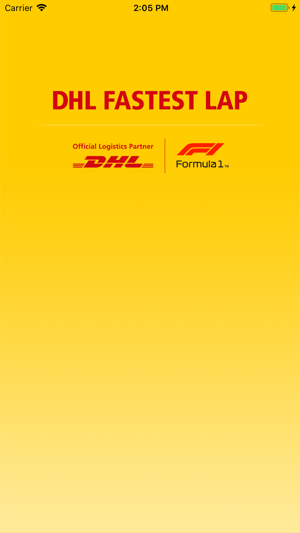 DHL, Official Logistics Partner to Formula 1, brings you an exclusive glimpse behind the scenes of the race series. 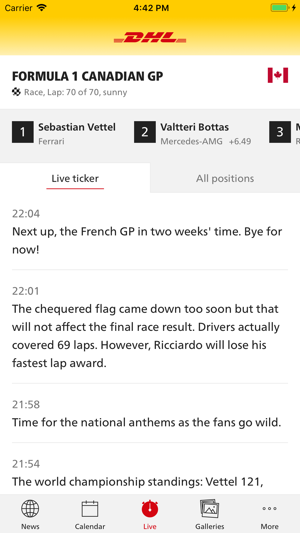 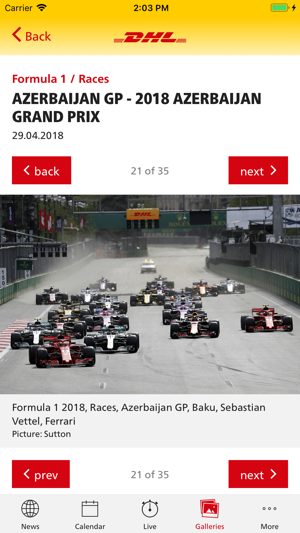 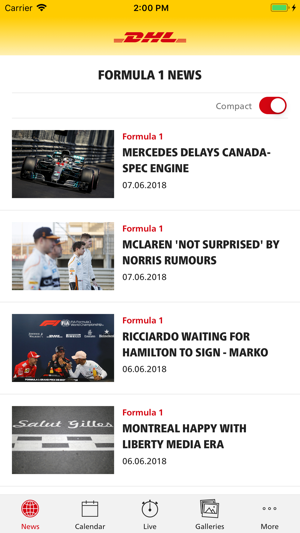 In addition, all the latest news, results and dates as well as race coverage via our Live Ticker. 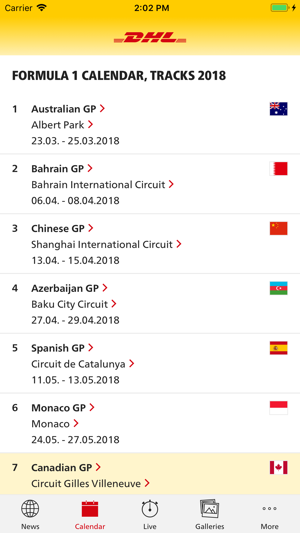 DHL draws on its more than 35 years’ experience of handling complex and time-critical international motorsports logistics.